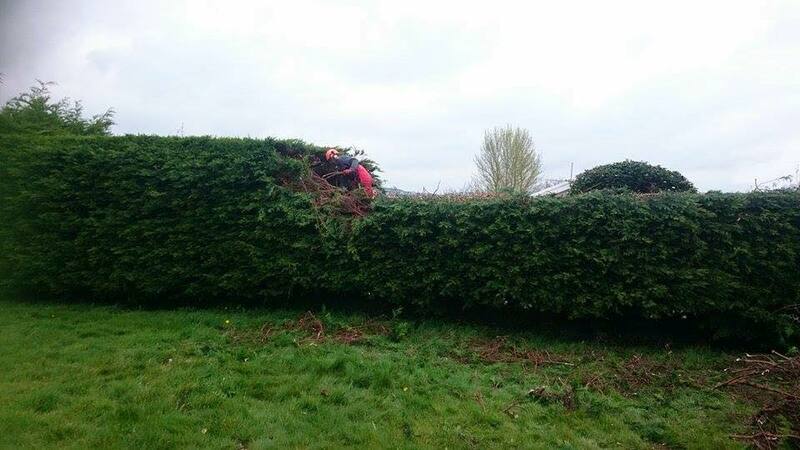 Hedge Reduction of an Overgrown Conifer Hedge. 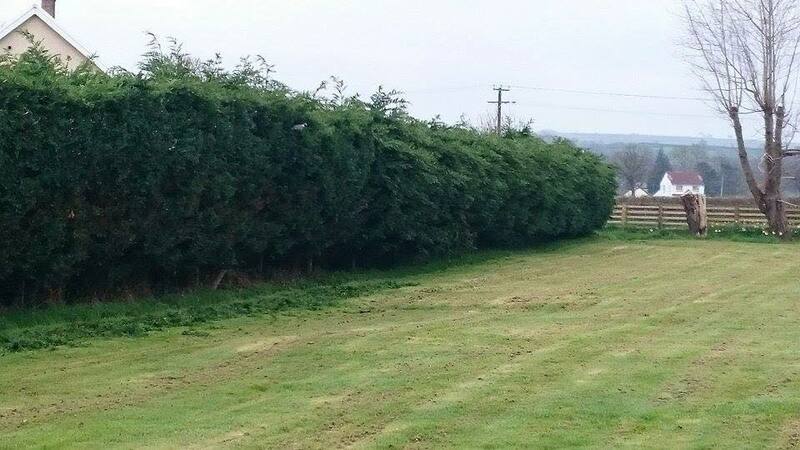 This was a Conifer Hedge Reduction that had grown widthways as well as the height.When we started,it was quite daunting,the top of the hedge was about 6ft wide and about 10ft high, we knew we were in for a hard days work and we then knuckled down to it.It was hard to take the top out as all the conifer had intertwined together and it was coming down in small pieces as the hedge was so dense,it was really hard to balance to use the chainsaw but we persevered and the hedge was looking really good at the end. 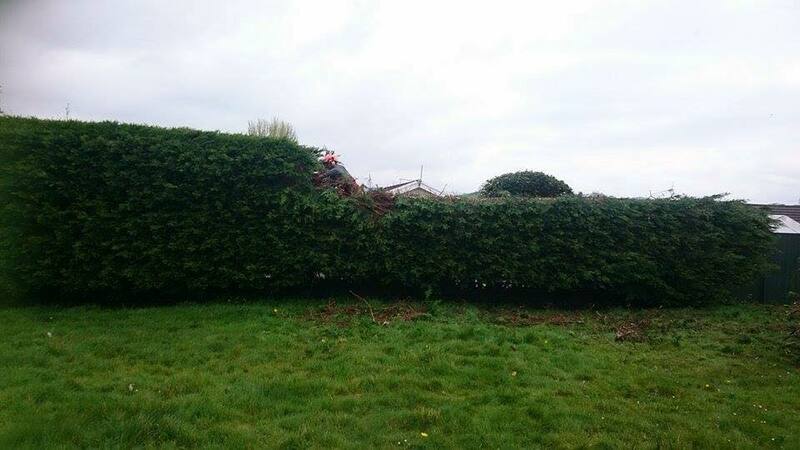 We filled our largest trailer and then some,it was the hardest job we had done in a while but had the most fulfilment from.We had four boys on site and they all did their fair share of work.We had good access from behind the hedge which made it easier to drag all the brash out! 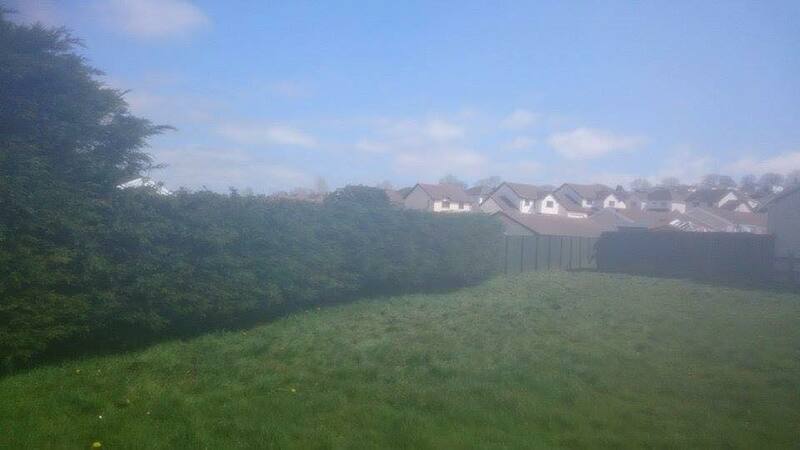 We tend to have conifer hedges to reduce the most because when they are planted homeowners dont realise how much they can grow and the roots can damage walls and driveways also,hence the saying “Conifers from Hell”. For a quote please use contact us for a no obligation quote.